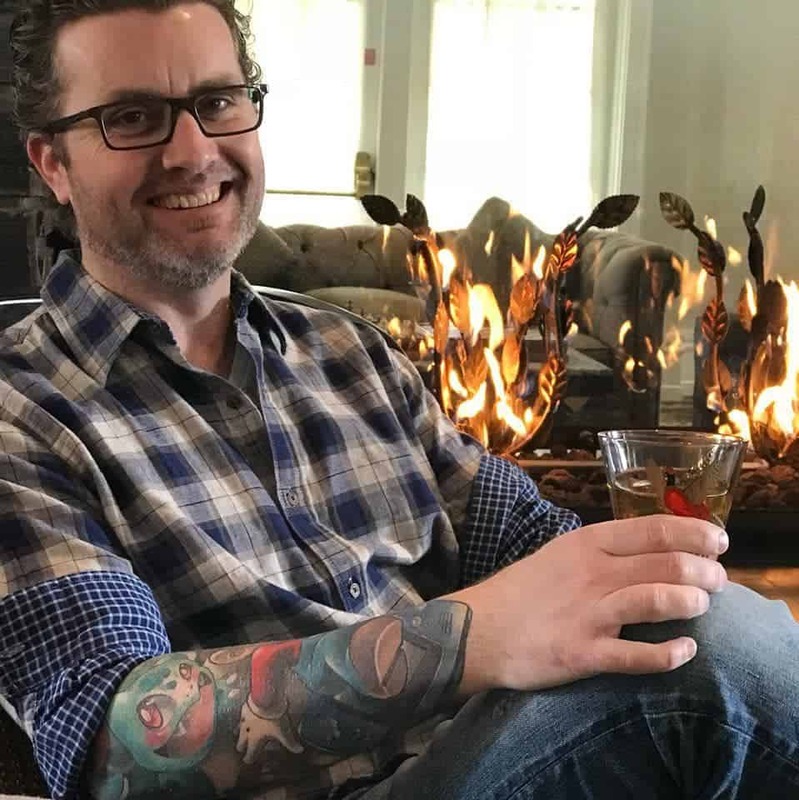 If you know how much we like Bourbon and how much I personally love cider, then you will understand quickly how this Bourbon Apple Cider Sangria came to be. I’ve essentially switched off of drinking beer since our last cruise when I decided to try Strongbow cider for the first time. Since that cruise and my discovery of ciders, I began to try all of the different types until I finally landed on Angry Orchard Crisp Apple which is my personal favorite. 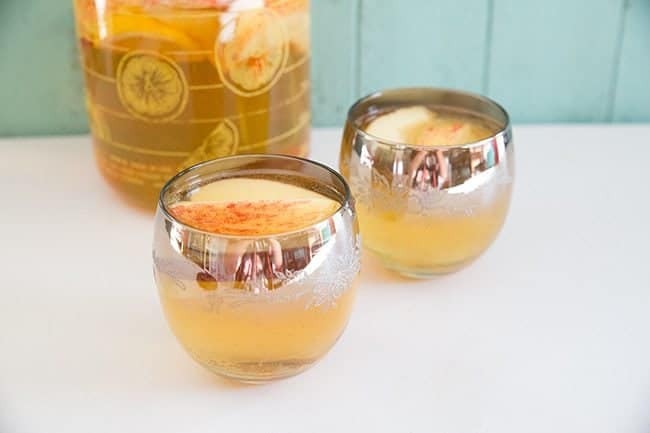 Knowing how much I love the stuff but still love my Bourbon, Karlynn came up with this brilliant cacophony of apple flavors in the form of a Bourbon Apple Cider Sangria. She’s pretty brilliant. Let’s face it, who comes up with pairing triple sec, apple bourbon and cider together? Karlynn does, apparently. And it WORKS. It works far too well. This is some seriously easy drinking! Wash and slice an apple and a lemon then add to the jug. 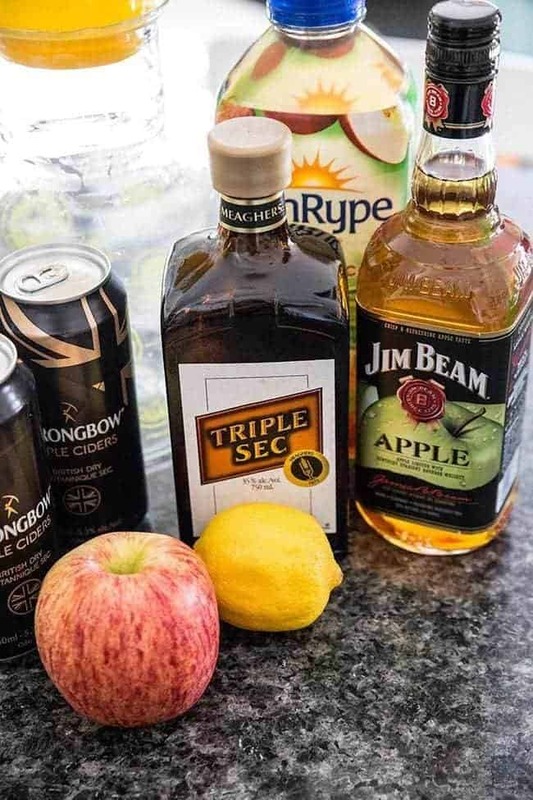 Now add in 1 cup of apple juice, 1/2 cup of Triple Sec, 1 cup of Jim Beam Apple Bourbon and 1 – 1.25 liters of your favorite hard cider. Add in some ice, pour into your roly poly (or any size glass really) and enjoy! I hope you love it as much as we do, happy Thirsty Thursday! 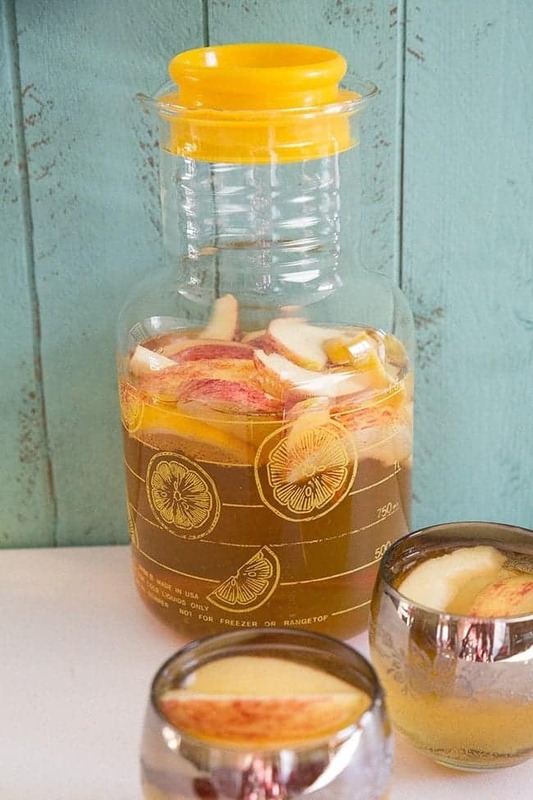 How to make an amazing Bourbon Apple Cider Sangria. 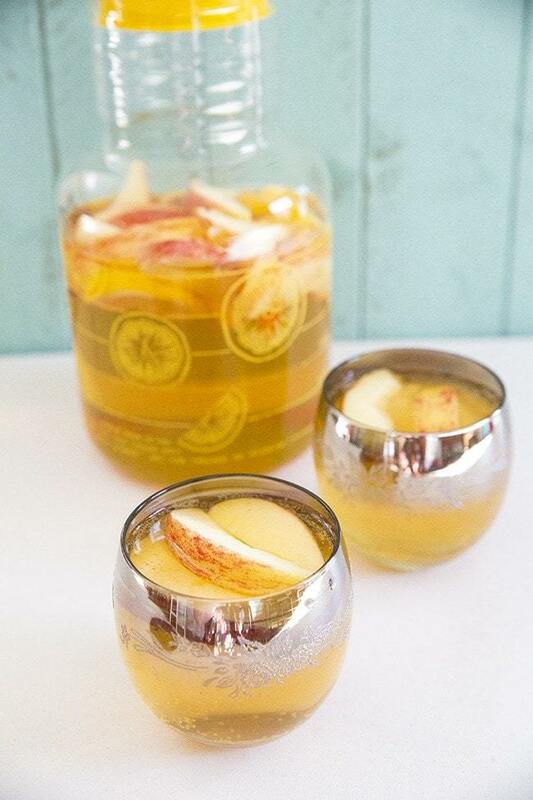 This cider sangria is perfect for summer and fall sipping! Add ice, if wanted, and serve. Do they give that pitcher to every woman the day they become a mother?